Sidsel Millerström received her PhD from the University of California, Berkeley in Polynesian archaeology. She is a specialist on art, including rock art, and architecture in Polynesia. 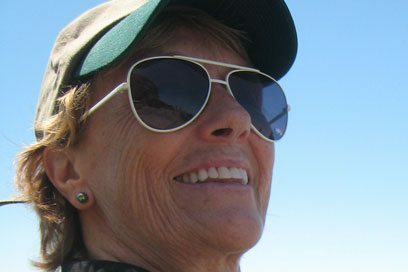 Since 1984, she has worked on all six presently inhabited islands in the Marquesas Islands, French Polynesia during which she discovered and recorded numerous tikis, carvings of human figures, and more that 7,000 ancient petroglyphs. She has also worked on excavations on Easter Island, Fiji, and Tahiti. Dr. Millerström’s work has appeared in various scholarly and popular journals. 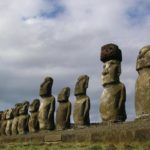 Tour Easter Island and see the Tapati Festival January 29 - February 9, 2020 | Sidsel Millerström Travel to one of Polynesia’s most fascinating islands – enigmatic Easter Island where we will explore immense stone statues, perplexing petroglyphs, and vibrant cave paintings. The trip is timed to include the island's wonderful Tapati Festival, a time of revelry and feasts and of honoring the culture – both past and present!